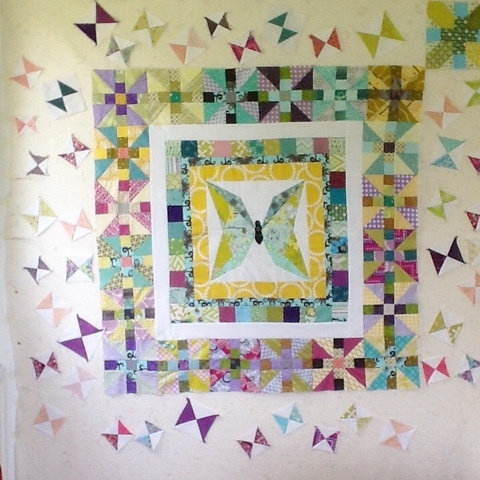 At Fat Quarterly in 2013 I took a paper piecing class with Joanna and Julianna. 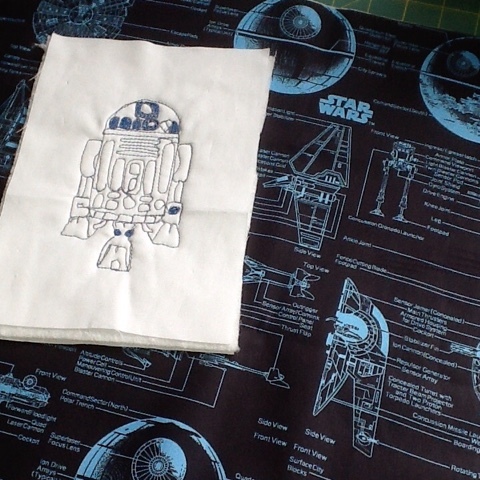 I made my life difficult by using directional fabric for the background. To make it look right I had to try and keep vertical lines vertical and horizontal lines horizontal. The lovely Julianna was very helpful in keeping me on the right lines. 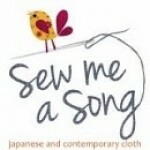 I really learnt lots on their workshop, which I have used since. 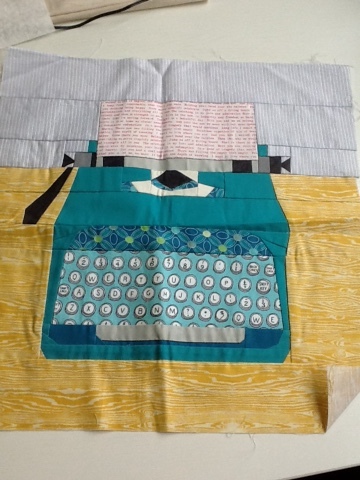 But this lovely typewriter has remained folded up in a drawer in my sewing room. So at last it came out, was teamed up with some solid fabric for a frame on the front, and some text fabric and a chunky zip on the back. 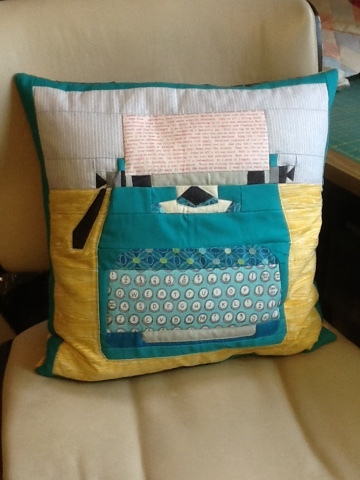 It is now a very useful and decorative cushion. I even set my rather long zip on the diagonal...just for fun, though it does make it easier to push a fat cushion in there! 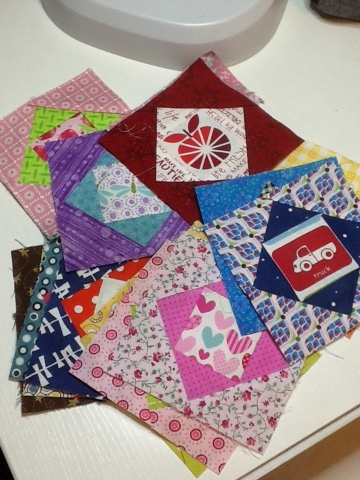 The Siblings Together Quilt Block Drive ! I am going a bit crazy ! 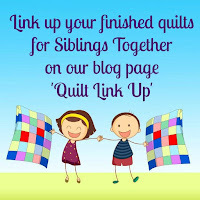 I was sure I had written about the Siblings Together Quilt Block Drive here as well as on the Siblings Together Quilt Group Blog but it seems not! 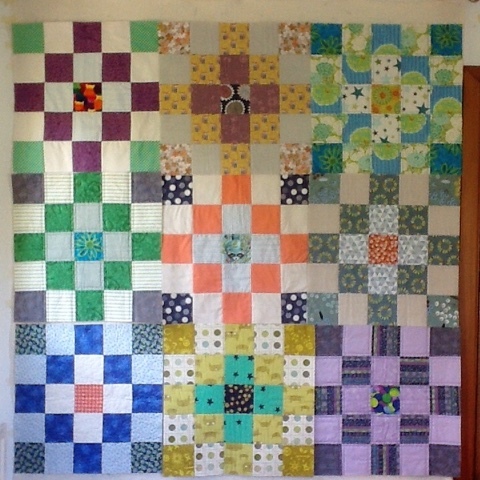 So just to bring you up to speed I am asking for Quilt As You Go Blocks - follow the above link to take you to the tutorial for this really simple block. 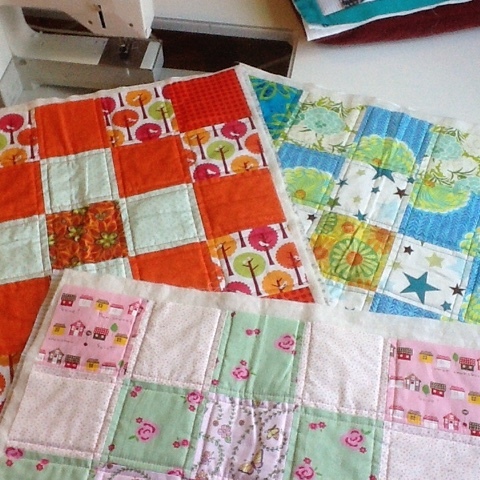 Anyway I wrote on Monday (on the other Blog) that I had received five quilt as you go blocks from some lovely generous quilters. Since then I have received even more! 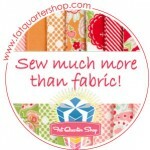 Enough to finish one quilt already. It didn't really take me long to add the sashing and stitch the whole thing together - in fact it took me less than one day ! I do love QAYG! Here are the blocks all trimmed and ready to be sashed. And here they are sashed and bound - job done! I love how these blocks came from a group of people but all blend together so well - bit like a community of quilters don't you think! Thanks to Joanne, Jennifer, Biff, and Linda for all the blocks - I hope I got that right ! 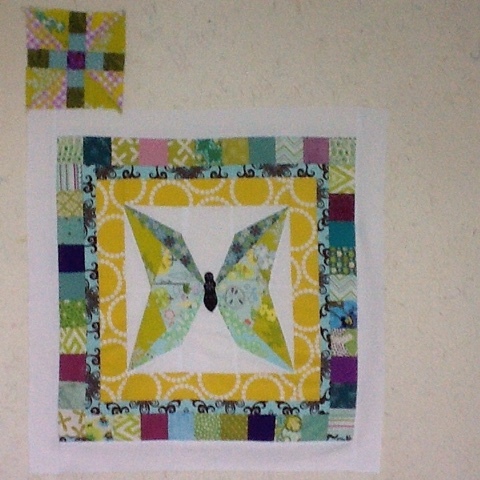 If you want to join in and make a block or two the tutorial can be found here. 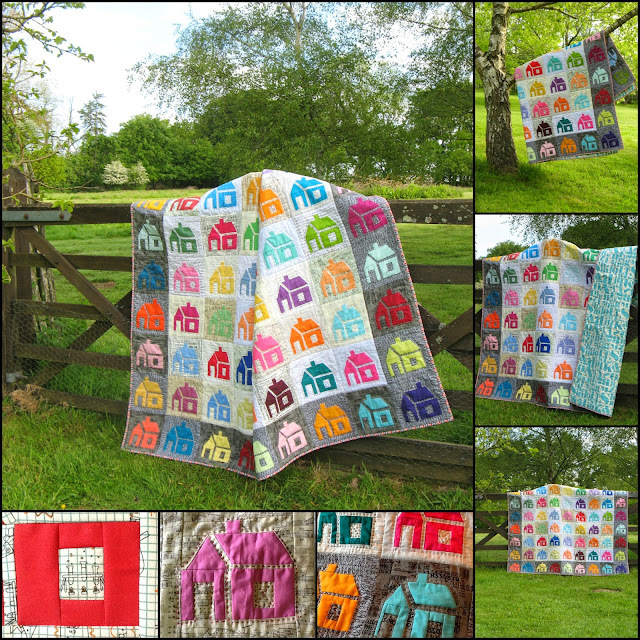 I've linked this quilt up on our Quilt Link Up Page here as no. 50! 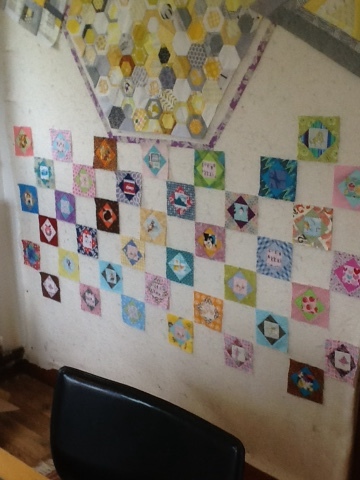 We are half way to our target of 100 quilts and I feel we should be celebrating! Now can you please help me make a few more!? On my finish along list for quarter two I have a mosaic of small projects. This project is number 12. I mislaid the other main piece of this bag (the fabric with pink flowers on it) so cut out two new pieces, then the interfacing (from muslin as I didn't have enough of the sticky stuff) and the lining. It turns out I hadn't cut out as much as I thought! I followed the instructions by Noodlehead. 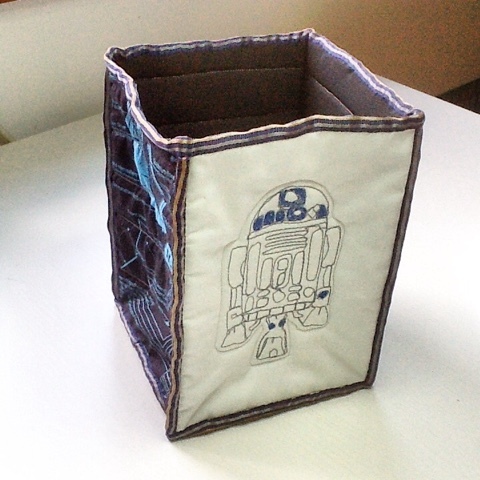 I am probably the only person who hasn't made one of these bags...and I have to say it was pretty straightforward. 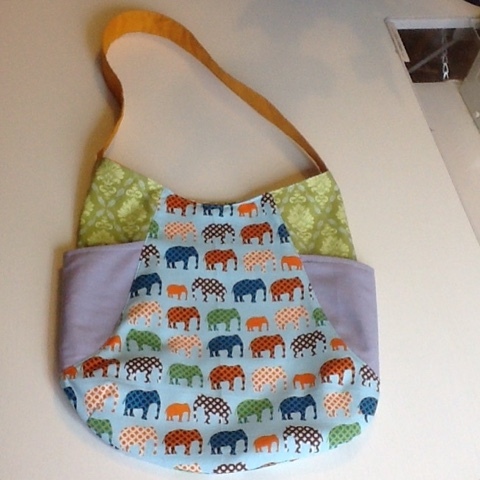 I went for the easy version without zipped pockets but a patch pocket inside - more elephants! 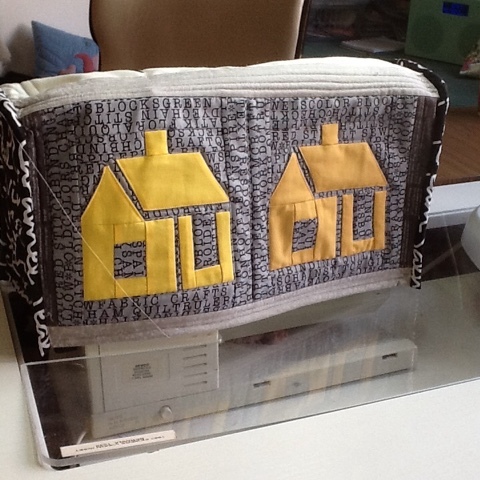 It does have a magnetic fastening which I used for the first time - super easy to do that! 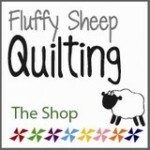 It has had a bit of a transformation and morphed into quite a different look. But who wouldn't like elephants? 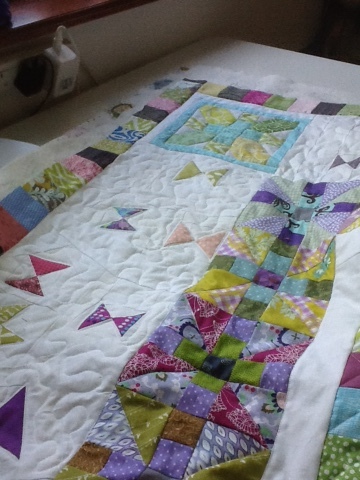 I started this project with this trial block made from scrappy bits! The propeller border was soon finished. After such a busy border I thought something more open would be a good contrast. 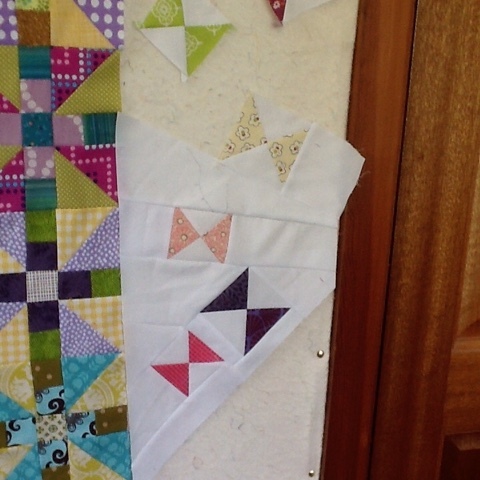 I have oodles of scrap triangles from making other blocks and thought they would suggest small butterflies scooting round the centre in a fluttery cloud ! 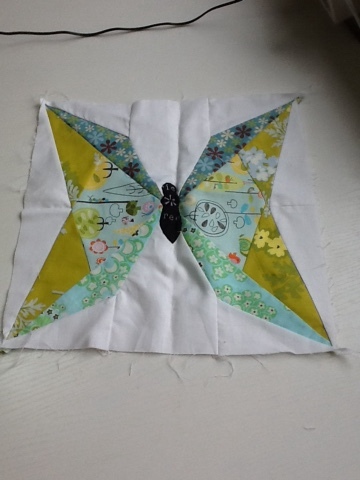 First section of this border completed! 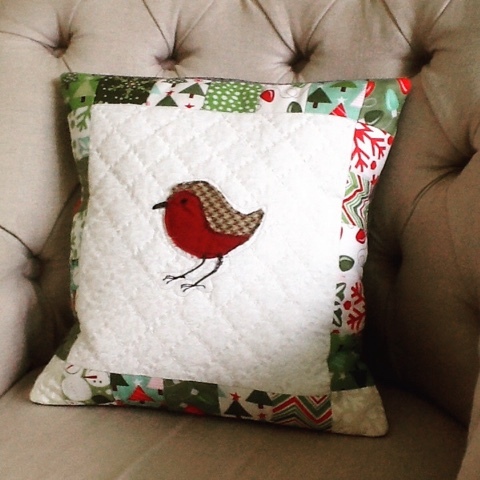 But I couldn't leave it there though it did take me a few days and a final push from my friend Helen/Archie on IG! 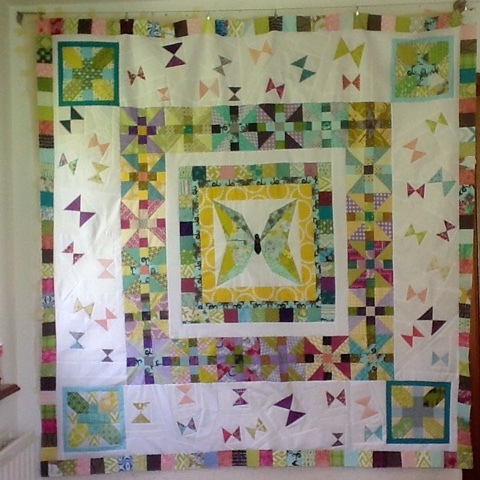 Here it is complete with x+ cornerstones, fluttery borders and a final scrappy 2 1/2" square border and I'm rather pleased with it! Who knew it could turn out so well? Update : I sorted that naughty cornerstone and put it firmly in it's place as I couldn't stand it being so forward! 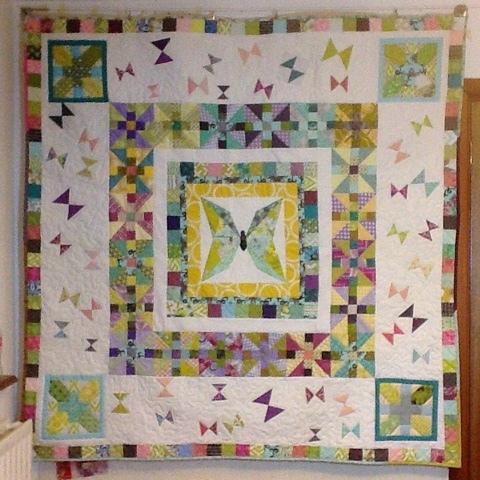 All is well with this quilt top ! Sigh. 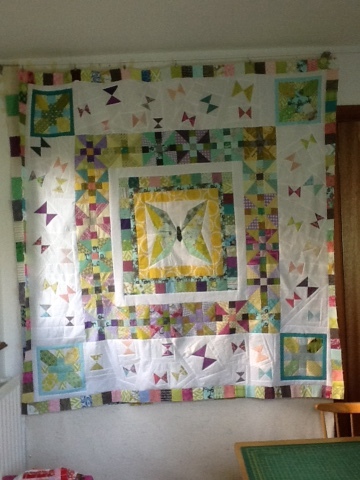 It is quilted now, mainly in the ditch except where the butterflies are. The central butterfly has a small meander and the little butterflies have a large meander to suffer their flight paths. 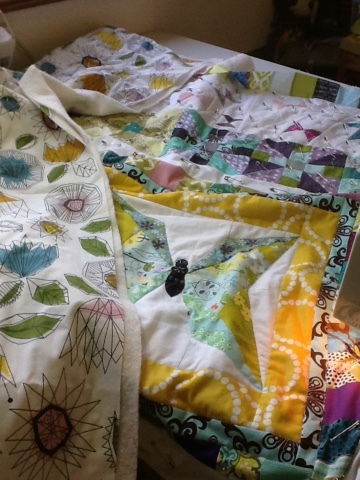 The quilt is backed with some fabric from Sarah and Jude and it is bound in a scrappy binding. I am rather pleased with how this quilt turned out. This project is number 11. 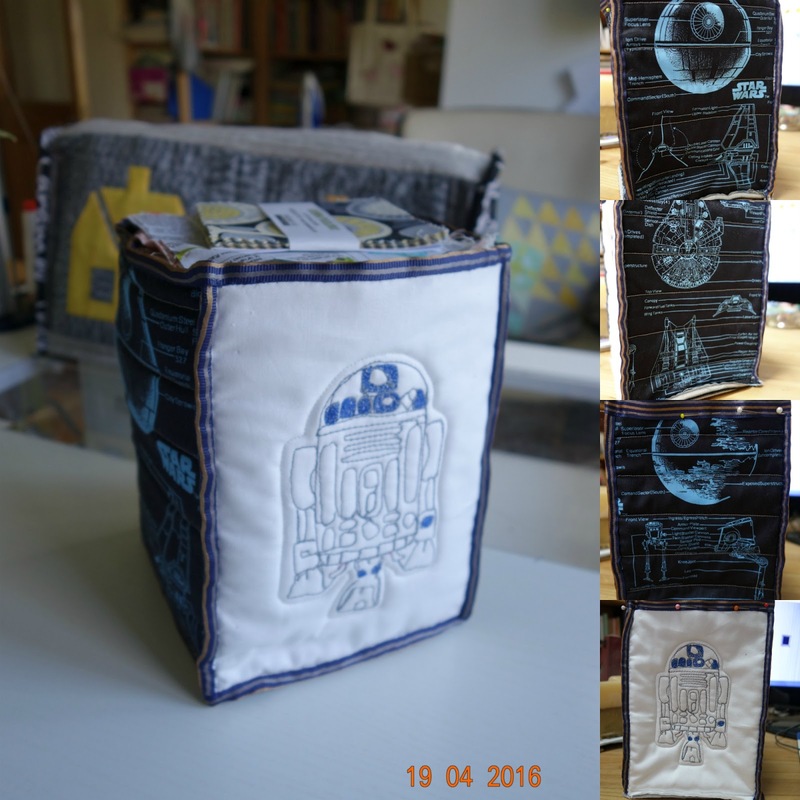 I entered a swap on IG last year and made a Star Wars themed package for my partner. And it quickly became storage for charm squares. It was made with four rectangles, and a square bottom. I used car headliner as the stiffener and is works like a dream. 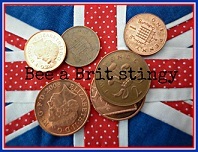 (Tip received from Di @wllowbeckdesigns). As this is a techno style project I left the material visible on the inside and finished of the raw edges with a bit of wide ribbon hand stitched in place, which was the longest bit of the project! Finishing small things 2: the robins! 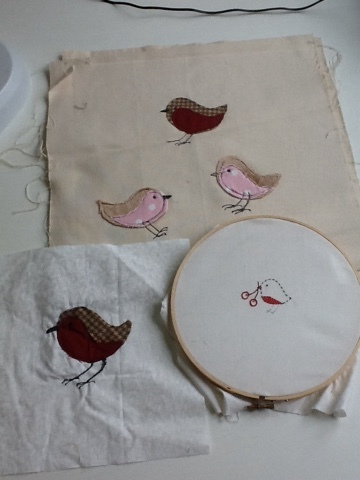 Like buses, robins come three projects at a time - see number 17! And this is how they became something else. 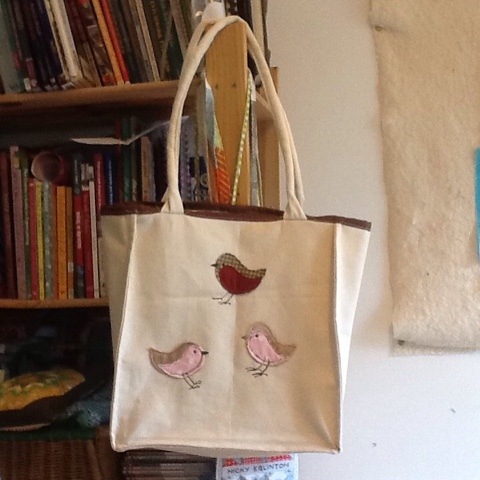 The three robins became the tote bag I had intended from the start. 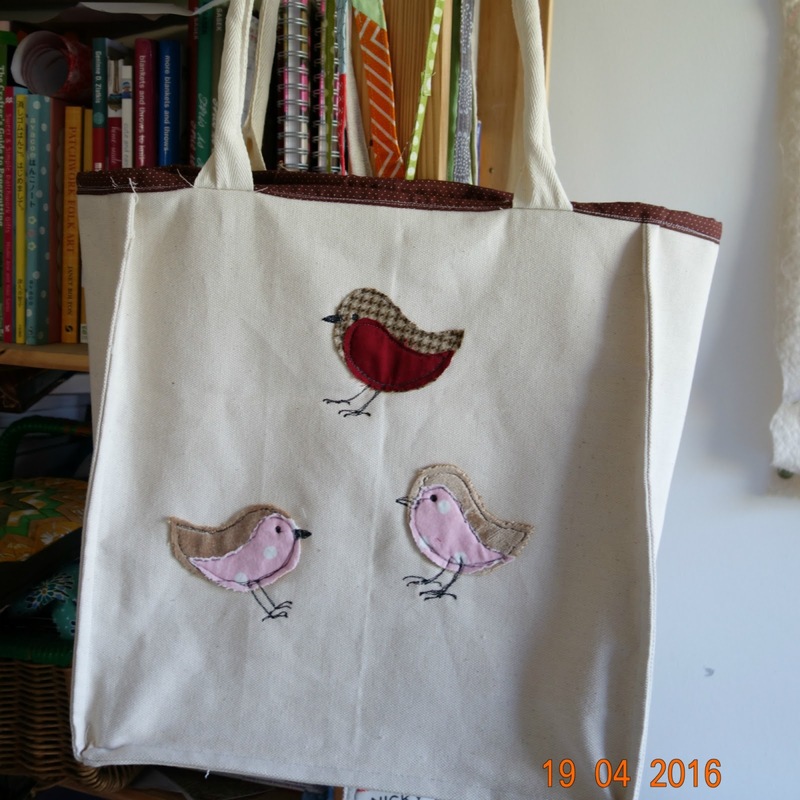 It is a simple unlined canvas bag, with some raw edged machine applique on it! 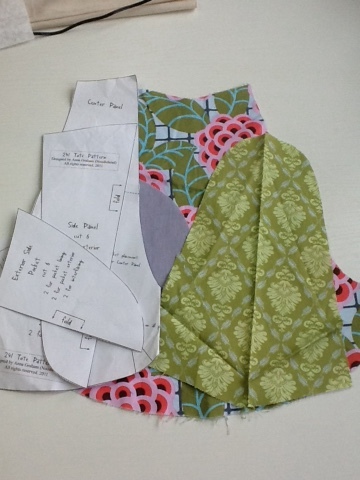 I have enclosed the raw seams, on the sides and bottom, with another line of stitching beyond those raw edges - a sort of reverse French seam I think (with a real French seam the lumpy bit would be on the inside!) I added a contrast brown binding to the top edge enclosing the handles too. I made the handles by doubling over and stitching down some woven tape and stuffing the tube it made with wadding scrap so my handles will not cut into my hand/shoulder. I have even taken it to Tesco's with me and it has kept those bulky bread and breakfast related items together in my trolley and car boot! Not so heavy it might bust my stitches and clean! Success! 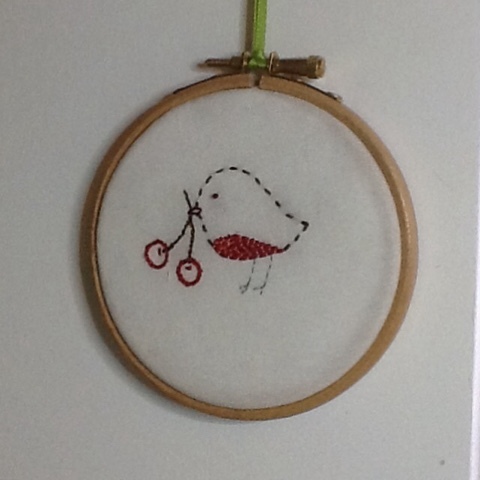 I just finished a few threads and mounted it in this cute wee embroidery hoop and hung it with a contrast green loop of ribbon. 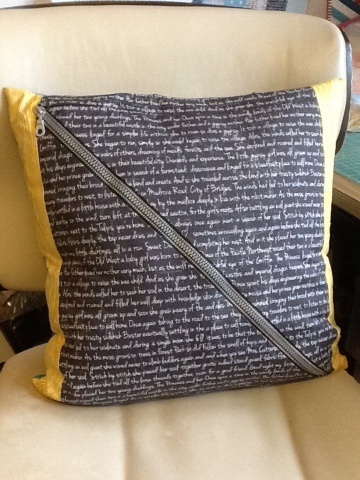 I finished the back (not shown) with a circle of felt, hand stitched in place. 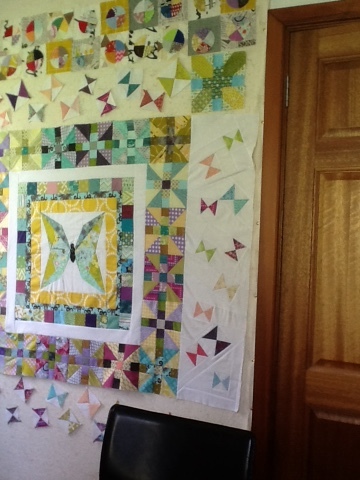 It is now up on the wall of my sewing room. 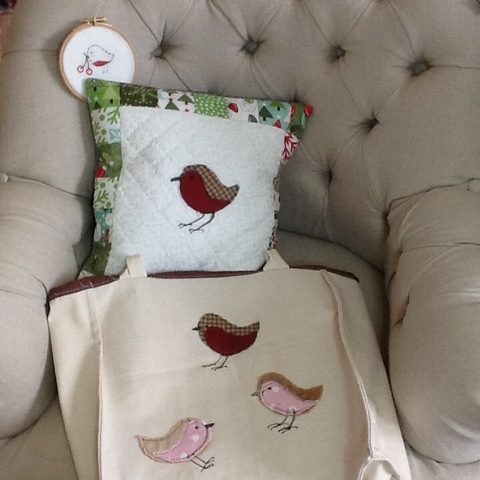 And finally the other raw edged robin (made at the same time as the three robins on canvas) became a Christmas cushion. I teamed him up with a mini charm border, some hand quilted cross hatching in cotton perle and some Essex linen on the back. A simple envelope closure for the finish. I'm rather in love with him so it is still on the chair where I took a photo of it. This is the first one I tackled...no 10! 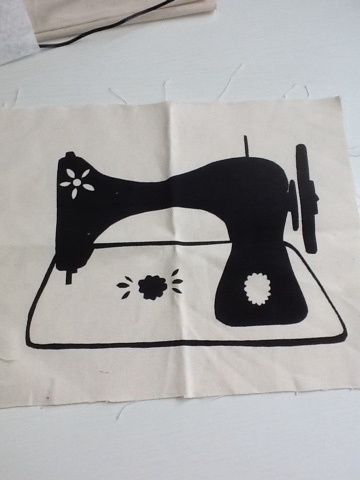 It is a screen print I bought from the lovely Emily @lovestrawberrypatch. 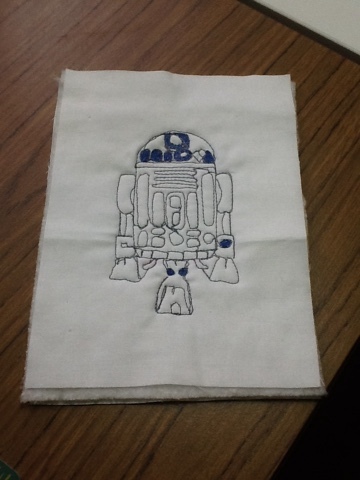 From the start I had intended to make it into a sewing machine cover. 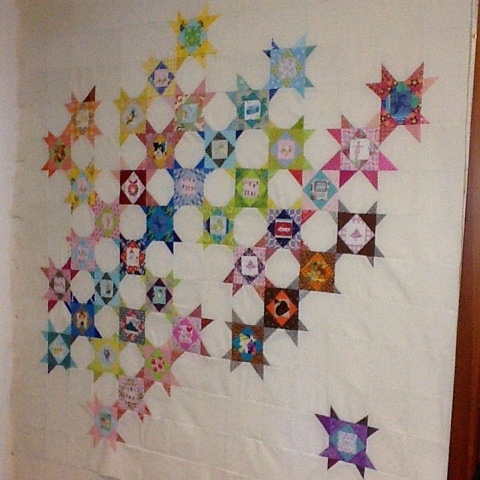 I paired it up with a couple of schoolhouse blocks I didn't use in my school house quilt - later dubbed Konaville because I was using it as a colour chart of Kona colours as those tiny squares you get on the commercial ones really aren't big enough are they? 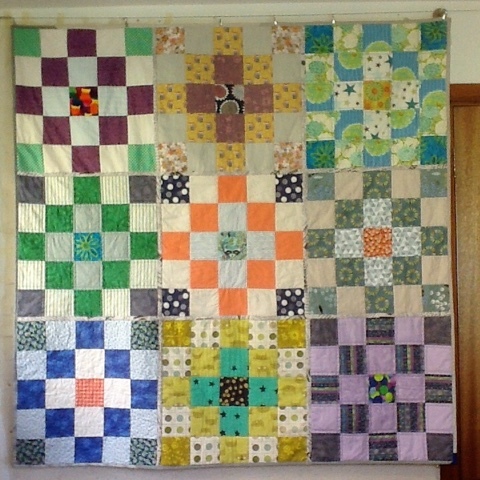 Of course it is out of date already...but I really love this quilt. 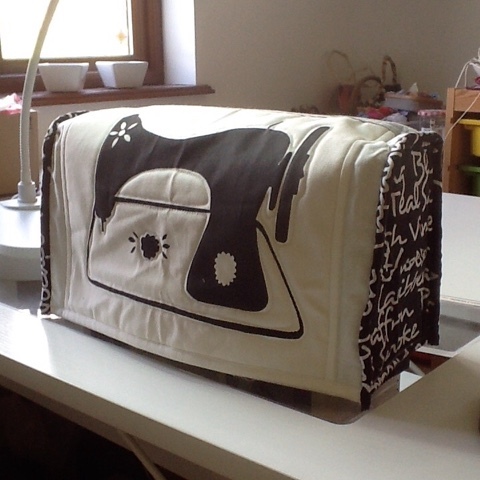 And this is how my sewing machine cover finished up. School house side - those upside down doors still make me smile! A symptom of my crazy upside down life perhaps ? The cover is sized for use on my table, with the machine recessed, so will be a bit on the short side if it were sitting on top of the table. But this is how it sits normally though I have to admit the cover doesn't stay on for long! 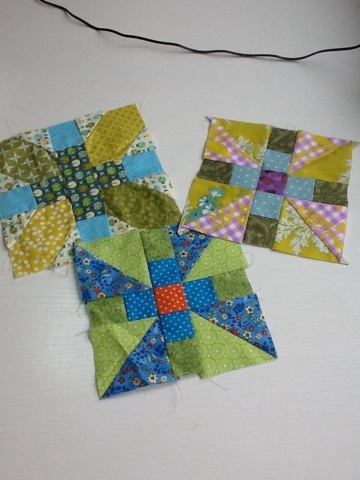 My scrappy hexy, square and triangle from last week have been handed over to my lovely Stingy bee mate Catherine, who will add a square and a triangle before passing the lot onto Di in July. I had been thinking I would just put them together to make a quick wall hanging before that FAL deadline. And now I'm really glad I only found them recently, when looking for something else! Isn't that always the way? 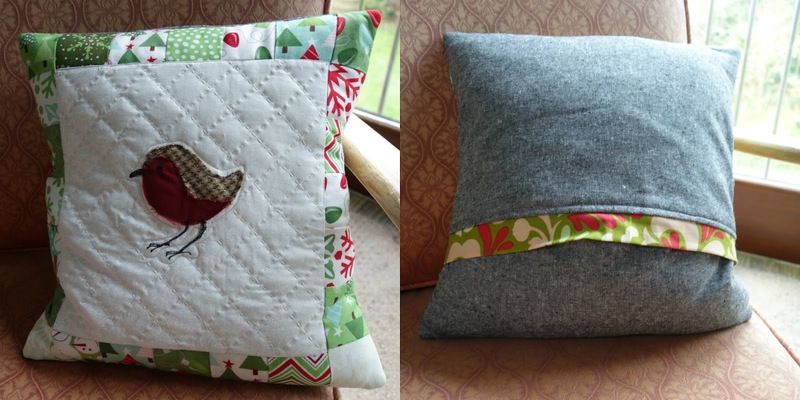 I quickly made about 20 more and was planning to carry on till I had a quilt full. 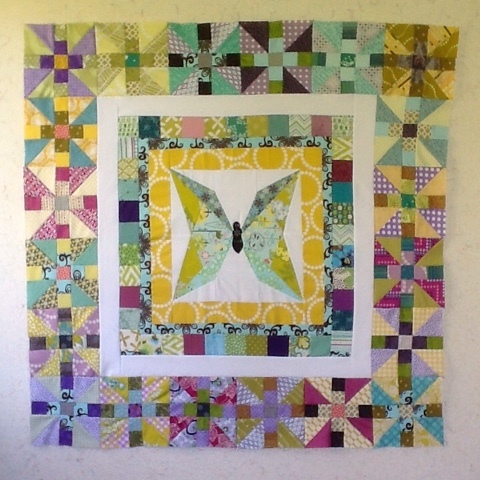 Then I was considering different layouts, which would mean I could make fewer, and posted on IG about adding an alternate square which would mean a quicker finish - only about 80 more to make....still a lot right? Rainbow colours were mentioned so I started organising the blocks in their outer square colours on a diagonal line! Next I added a wonky little snowball block using a whole heap of scrappy triangles - off cuts from making other blocks (really scrappy right?) Loved it but not enough to make eighty more blocks. I decided I had made enough and went for a modern look with just 41 blocks and lots of negative space. A real 'less is more feel'! It all came together like this! 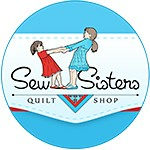 More about the campaign to make 100 quilts for Siblings Together can be found here. 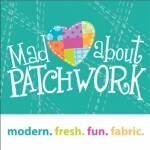 In the meantime, let us thank our lovely sponsors, and award the prizes for the April Scraptastic Tuesday Link. We will be emailing all of the winners shortly. 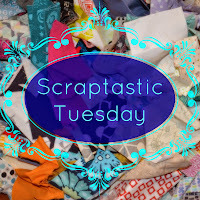 Thank you for sharing your April scrappy inspiration and please plan to join Leanne from She Can Quilt and I again on the second Tuesday in May 10 - for the next Scraptastic Tuesday link. By the way, if you are looking for some scrappy inspiration, a visit to the links is worth your time. It's list time again! 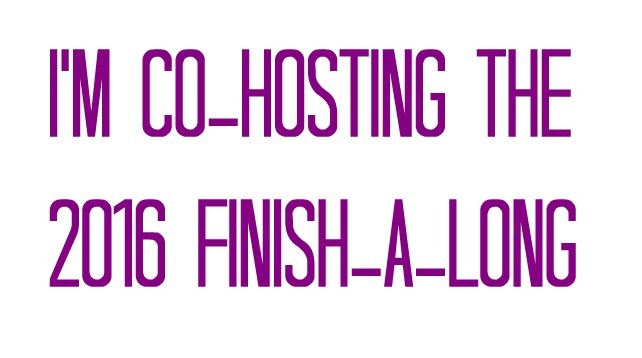 Finish- A-Long Quarter 2!